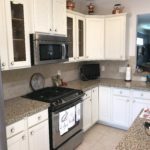 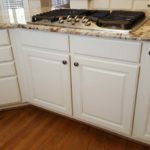 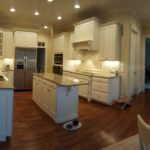 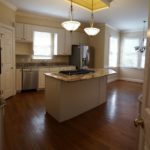 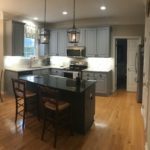 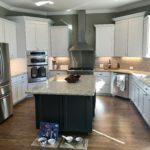 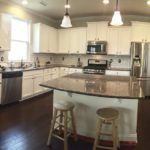 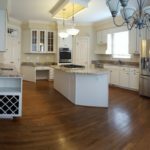 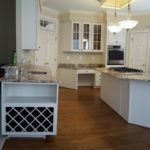 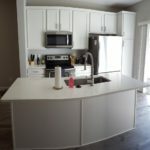 In this kitchen the plan was to match the trim as closely as possible. 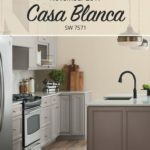 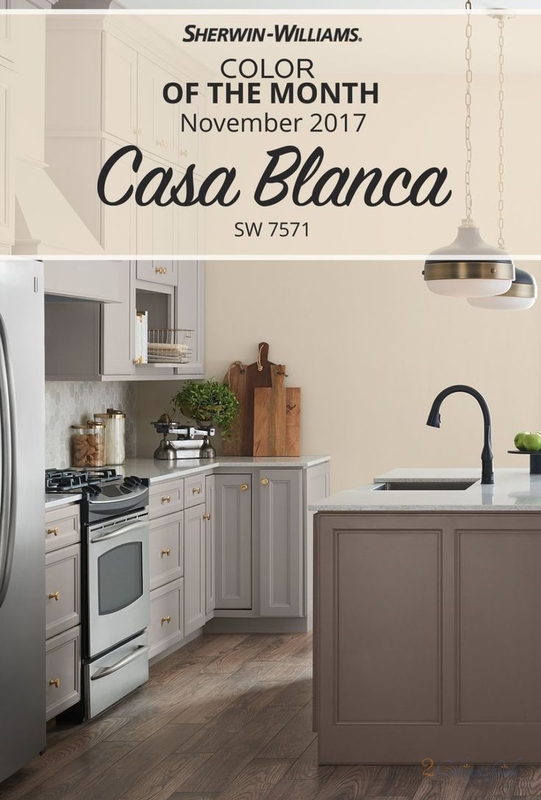 The color we went with is Casa Blanca from Sherwin Williams. 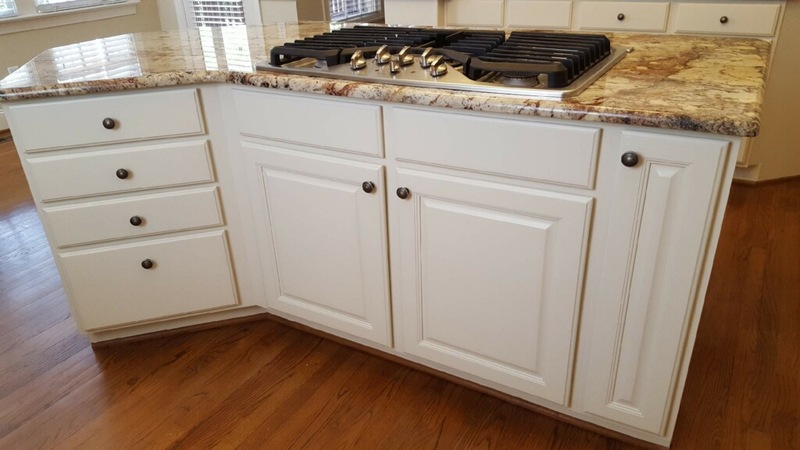 It’s a true, antique white shade. 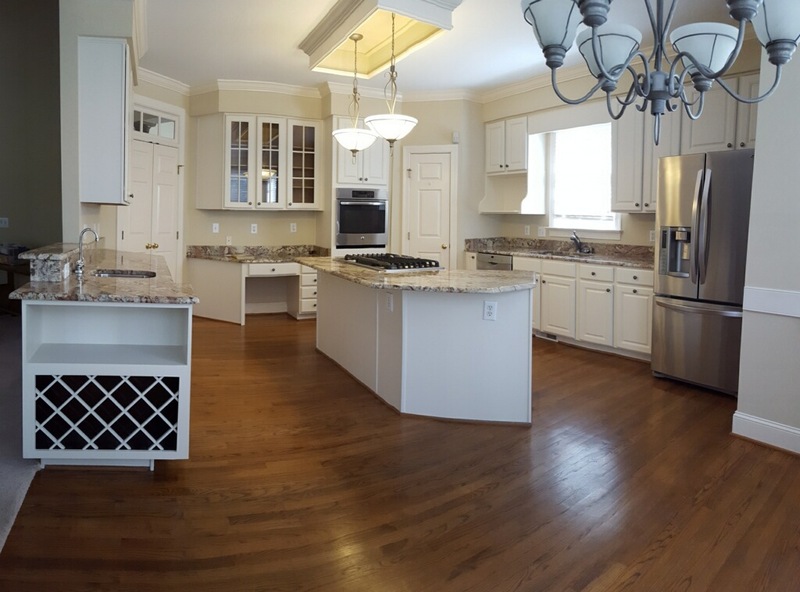 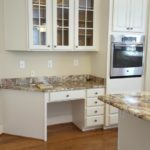 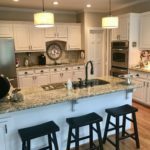 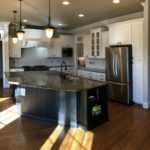 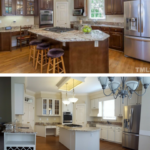 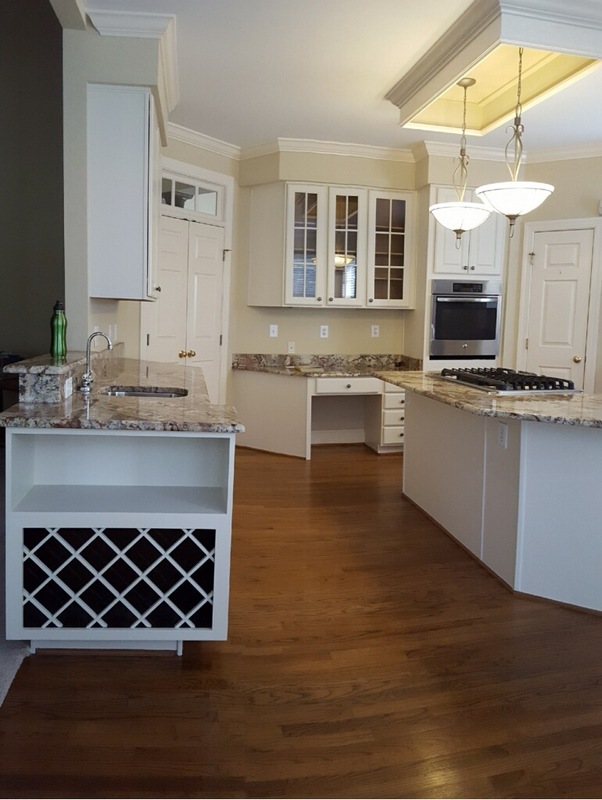 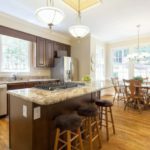 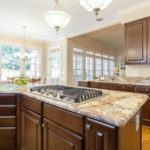 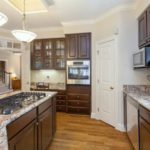 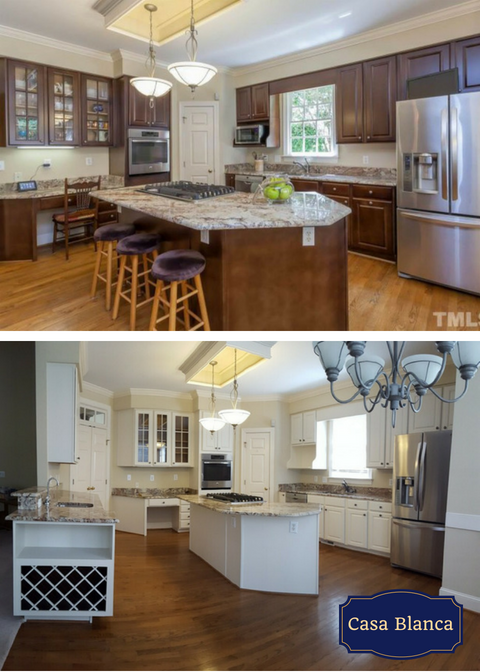 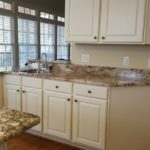 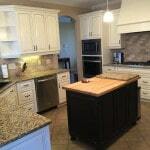 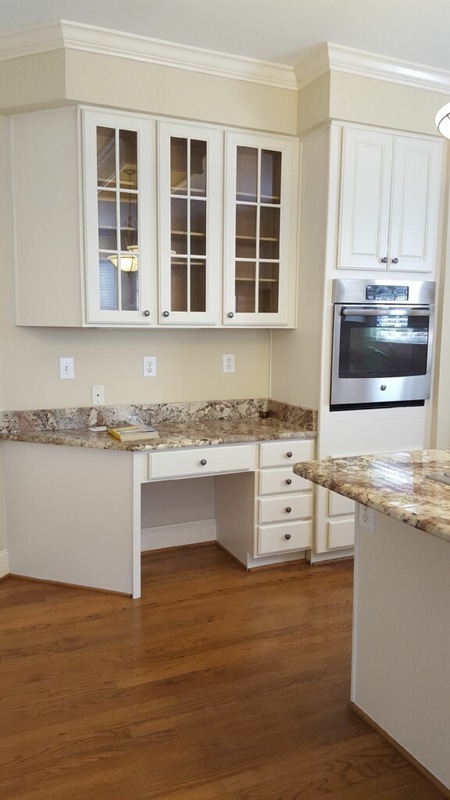 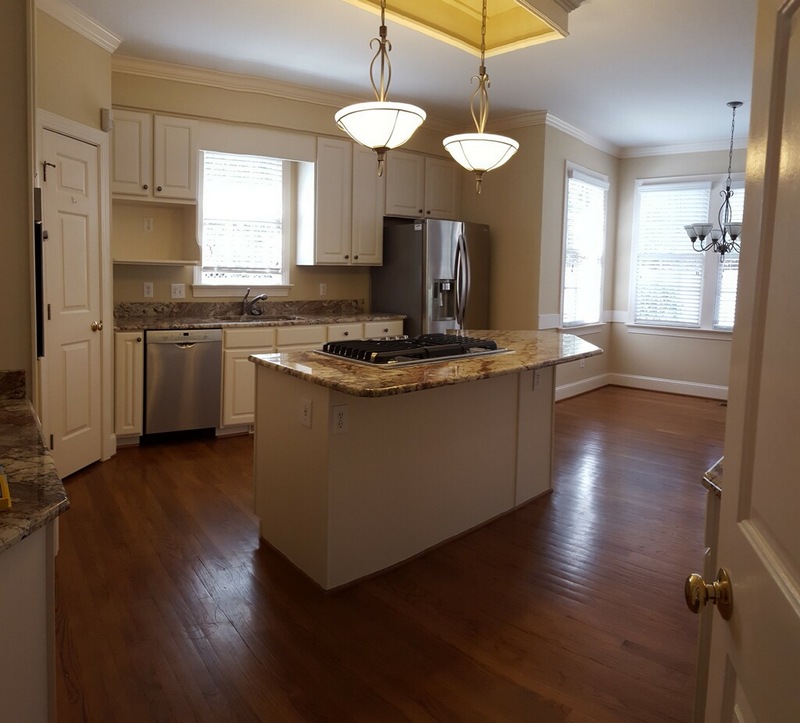 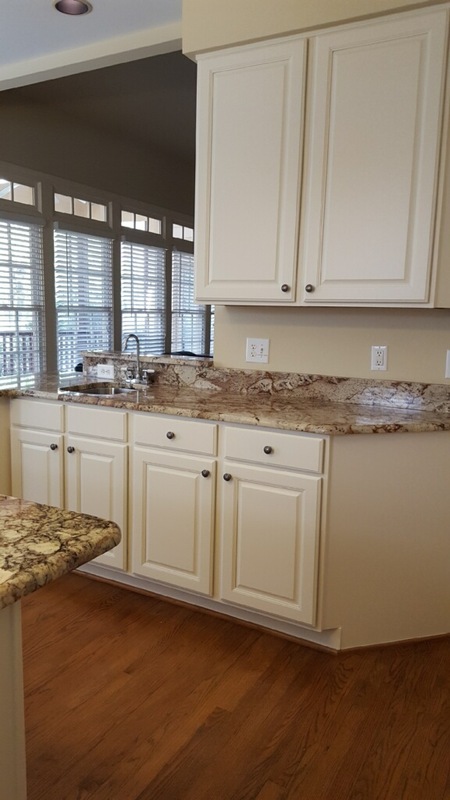 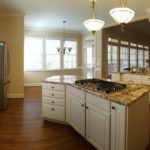 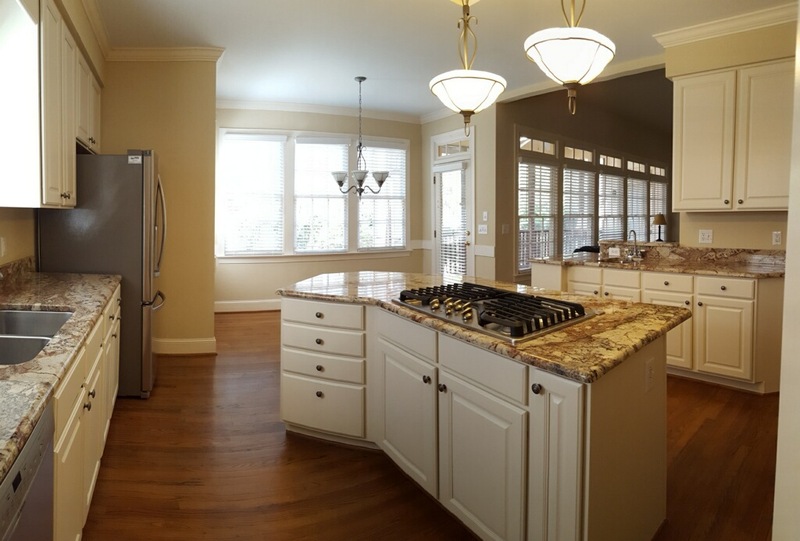 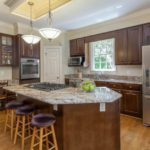 The golden tones blended perfectly with the existing trim as well as the beautiful granite counters.